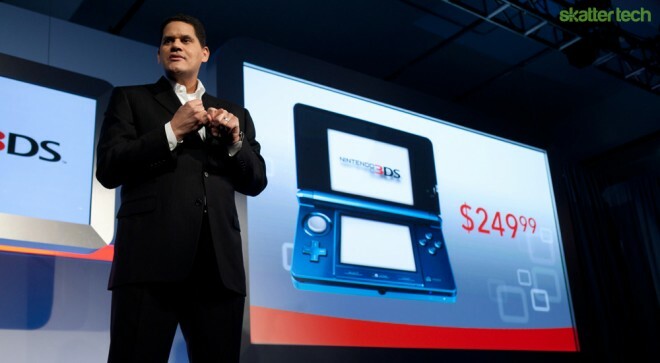 At Nintendo’s press conference in New York yesterday, President Reggie Fils-Aime announced that the 3DS would hit stores in the United States on March 27th for $250. Customers will have the choice of two colors as well: Cosmo Black and Aqua Blue. We first brought news about the next generation 3DS to you from the Nintendo press event at E3 2010. We had a chance to get our hands on the pre-production unit as well. Aside from a few minor visual changes, the hardware looks nearly identical. For those not familiar with the Nintendo 3DS, it essentially a 3D version of the existing Nintendo DSi. The lower screen is touch enabled for use with a stylus and the upper screen offers three-dimensional visuals (no glasses needed). There is a depth slider to adjust the level of 3D since appearance may vary from person to person. Nintendo also makes it easy to switch off 3D entirely to offer compatibility with older two-dimensional titles. A new circular pad provides better control over a game with 360 degree navigation. Like many of the latest smart phones on the market, the Nintendo 3DS also features a motion sensor and a gyroscope for additional ways to interact with a game. Nintendo expects over 30 new games to become available for the 3DS after launch and before E3 2011, which we will be attending. While some of these titles are mini games, popular games including The Legend of Zelda: Ocarina of Time 3D, Star Fox 64 3D, and Kid Icarus: Uprising will also be available. The Nintendo 3DS also ships with a 2GB SD card for storing game information and pictures. A Nintendo eShop will offer access to downloadable full games, DSiWare games, and new titles with 3D support. Like the Virtual Console on the Wii, retro games from the Game Boy and Game Boy Color will run on the upcoming 3DS. 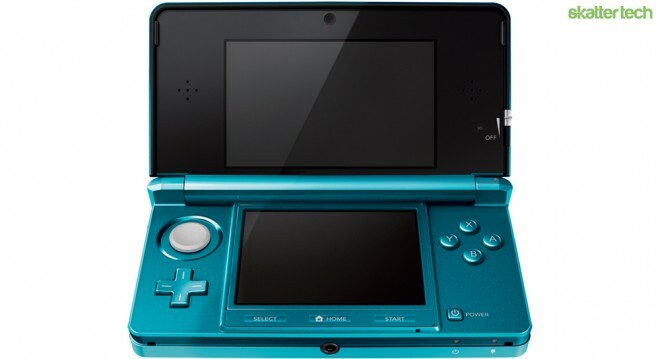 In addition to gaming, the 3DS also features three cameras: one on the inside for video chat and another two on the outside for snapping 3D pictures. This will likely be the first piece of consumer hardware that will bring 3D imaging and viewing capabilities to the masses. In addition, Nintendo states that the device will support playback of MP3s and have an integrated web browser.